Approval of Minutes: Doug motioned to approve the Board of Directors Meeting Minutes from December 9, 2018. Ben seconded. Passed. Note from Member re: accepting credit cards and year-end balance. The board is aware of both points made by the member are currently working on them. Sharleen received a telephone call from a member, but will address the member’s concerns during Administration Report. Member inquired whether there was any new information regarding the Bureau of Land Management’s plan for Carter Point. She would like to start a committee to discuss the impacts of adding access to Carter Point and how that would affect Scenic Estates. Member is going to reach out to other community members and report on progress. LlLCO hearing is scheduled for Jan. 25 at 1:30pm. LIHA lawsuit-Oral arguments are scheduled for Feb. 22 at 1:30pm in Whatcom County Superior Court. We have attempted service on one member for foreclosure 4 times, but the member has avoided the process server each time by refusing to answer the door. Discussion of whether it is best to continue with service attempts or proceed with service via posting/mailing instead. Board consensus is to move ahead with posting/mailing service. A summary review of Bylaws and Policies can be done in our attorney’s office and is estimated to cost $200-$300. The intent is to target items that are superseded by County and State law and remove them from our governing documents, as well as to look for contradictions in the Bylaws, Policies and Rules and Regulations. Water Availability Letter to membership has been updated to reflect the current number of available water connections. It was noted that it is possible to apply for more connections, but it could be a lengthy and costly process. Sharleen received a telephone call from a concerned Scenic Estates member regarding clarification of the duties and responsibilities of LISE employees. Sharleen proposed that a dog walking path be created near the lake area to help ease tensions within the community of residents who reside there. Discussion followed resulting in Ben and Sharleen investigating the formation of a pet committee. Review of Year End Financials and recommendation for additional deposit into Reserve account(s). Doug motioned to transfer $60,000 from WECU Operations Checking to Reserve accounts as recommended by Ben and Leslie. Ben seconded. Passed. Key Bank CD matured on January 19, 2019. Leslie will close the CD and transfer the funds to one of our other bank accounts. Doug motioned to remove Mark Sexton as a signer from People’s Bank CD(s) and add Ben Twigg and Doug Cash. Sharleen seconded. Passed. In January, $8,000 was transferred into WECU Audit Expense Account as designated by 2019 budget. Review of the Clubhouse Door Replacement Estimate. Doug motioned to transfer no more than $8,000.00 from reserves to move forward with Bob Miller’s plan (in coordination with Isaac and Kevin) for the Clubhouse door replacement. Jeff seconded. Passed. Review of updated Water Facilities Inventory Report. Discussion of the difference between Recreational service and Residential service. Further discussion of how active connections are calculated vs. ERUs (Equivalent Residential Unit). Art Thomas and Isaac Colgan volunteered to be on the Marina Committee to oversee the management of the marina, with Doug as the committee chair. Doug motioned to approve the Bank Signer Policy with the amendment to clarify that the treasurer may or may not be a board member. Sharleen seconded. Passed. Sharleen motioned to move next BOD Meeting to February 24, 2019 at 9:30 am. Ben seconded. Passed. Click here to see a table of the action items as of January 20, 2019 to be completed by board members. Call to Order: Paul Dempsey called the meeting to order at 9:31 am at the Scenic Estates Clubhouse. Approval of Minutes: Board of Directors’ Meeting Minutes from November 18, 2018 approved. Member asked if the water usage rates meet our maintenance and operational needs. It was noted that water fees (RTS and usage) have never been intended to fully cover operational expenses. Member also asked about cost per gallon and looking at more progressive rate structure to encourage conservation. It was suggested that we could form a sub-committee to review rate structure before next budget cycle. Leslie reported that she and Ben are the signers for the new PSCCU account. Leslie proposes that we transfer Key Bank reserve funds into a CD or savings account at PSCCU to be our opening deposit. Ben moved to authorize the transfer of Operations funds from Key Bank to WECU Operations and reserve funding from Key Bank to PSCCU. Doug seconded. Passed. Doug motioned to move $45,000 from WECU Operations to WECU Reserve account. Ben seconded. Passed. Ben moved to authorize Doug Cash to close all Key Bank accounts except the CD’s. Sharleen seconded. Passed. Discussion of draft policy for signers on accounts. The policy will be voted on at next BOD meeting. It is further resolved to remove Jeff Smith as a signer from the aforementioned accounts and institutions. Discussion of credit card payment options. Ben moved to proceed with QuickBooks Desktop credit card processing service and charge a 4% surcharge and $1 ACH Transaction Service Fee. Doug seconded. Passed. Doug motioned to authorize Kevin to purchase 40 water meters and transfer an amount not to exceed $8000 from reserves. Sharleen seconded. Passed. Water Facilities Inventory data was presented to the board. Jeff is drafting an email to the membership to encourage opt-in for the e-newsletter. Solicitation by Rice Insurance to add earthquake insurance to our policy, but we will wait until May when insurance package is renewed. Doug motioned to authorize staff to shut off water on account #40058 on 12/20/18 following posting of door notice. Jeff seconded. Passed. Next board meeting is scheduled for January 20th, 2019 at 9:30am. Click here to see a table of the action items to be completed by board members. Approval of Minutes: Board of Directors’ Meeting Minutes from October 21, 2018 approved. Tax Foreclosure Sale cancelled on Account 50026. Member also paid delinquent LISECC accounts in full. Discussion of signers on bank accounts and drafting a policy to address the issue. Ben motioned to authorize Leslie Dempsey to open membership at Puget Sound Cooperative Credit Union (PSCCU). Sharleen seconded. Passed. Ben made a motion to amend previous motion and add Leslie Dempsey and Ben Twigg to be signers on new account at PSCCU. Sharleen seconded. Passed. First email to membership sent out and well received. The goal is to send out an email to the membership at least monthly. Discussion of Tim Slater’s letter re: Option to opt in to the WUCIOA. In addition to the information in the letter, it was noted that LISECC would be required to issue Resale Certificates for new buyers, which could be a costly process (paid for by the seller). Discussion of potential by-law changes to comply with WUCIOA. Ultimately, it is two separate issues. The first issue is whether we should conduct a legal review of our Governing Documents. The average range of cost for a legal review is between $5,000-$10,000. The second issue is deciding whether to actually opt in to WUCIOA. Best route may be to have bylaws reconciled to bring them in line with current legislation, without making significant changes to our Governing Documents. Next board meeting is scheduled for December 9th at 9:30am. Call to Order: Paul Dempsey called the meeting to order at 9:32 am at the Scenic Estates Clubhouse. Approval of Minutes: Doug motioned to approve the Board of Directors Meeting Minutes from September 22, 2018. Sharleen seconded. Passed. LILCO foreclosure hearing tentatively set for Dec 7, 2018. In process of getting digital archive of documents from attorney re: Ortego v. LISECC lawsuit. Discussion of potential bylaw changes. Possibly a two-step process beginning with reconciling bylaws with the WUCOIA and then an overhaul of the bylaws. Table discussion until next board meeting. Doug motioned to transfer payment from reserves for $7,755.31 for Chris Immer and Colonial Metal Works for new rails on the ramp. Ben seconded. Passed. Doug motioned to transfer $843.68 from reserves to pay PMG Controls to cover excess of previous approval for $7,000. Jeff seconded. Passed. Account 50026-Tax Foreclosure Sale on November 16, 2018. Discussion of whether it is in LISE’s best interest to bid on the property at auction, or pay the taxes prior to the auction in order to preserve our lien on the property. If the taxes are paid, LISE can proceed with foreclosure. Ben moved to authorize himself and/or Leslie to go into the county prior to Nov. 15 and pay the tax lien on the property in order to protect our lien. Doug abstained. Passed. Doug motioned to use funds from reserves, not to exceed $2,500, for the replacement of tables and chairs at the clubhouse. Sharleen seconded. Passed. Doug motioned to mail the letter to account 10217 re: clearing items away from the water meter box. Sharleen seconded. Passed. Sign-up for the opt-in email system is now available on the website for members. Jeff will be responsible for creating emails. Leslie Dempsey reported that Customs and Border Protection visited the clubhouse last week. They are scouting places where they can watch boats coming into/out of Hales Passage in order to identify any smuggling. Discussion on length of board meetings and being conscious of time. Next board meeting is scheduled for November 18th at 9:30am. Adjournment: Sharleen motioned for adjournment at 11:11am. Ben seconded. Passed. Call to Order: Paul Dempsey called the meeting to order at 10:00 am at the Scenic Estates Clubhouse. Sharleen motioned to approve the August 25, 2018 Board of Directors Meeting minutes. Ben seconded. Doug abstained. Passed. Sharleen motioned to approve the draft of the AGM minutes for release to membership with action item by Jon Van den Driesen removed. Doug seconded. Passed. Review of Washington Uniform Common Ownership Interest Act (WUCOIA). Paul would like to put forward a proposal at the 2019 AGM that we opt in to all of the provisions of the act. Doug motioned to prepare the bylaw amendment to come into conformance with the WUCOIA and opt in. Jeff seconded. Passed. Foreclosures: Notices went out and the deadline for payment has passed. Doug motioned to proceed with foreclosures. Sharleen seconded. Passed. Exploration of the possibility of securing funding from the state to update the clubhouse under the banner of emergency preparedness. It was determined that funding could not be made possible through this route as the Clubhouse did not meet ADA certification standards and thus, could not be certified as a Red Cross Shelter. Brief discussion of the impact of the WUCOIA on our current governing documents, specifically article 4.4.4.1 and 4.4.4.5, pursuant to the date, time and place of board meetings and the publishing of said meetings for the membership. Review June, July, and August Financial Reports- Request from our accountant to identify any items that need to be moved to fixed assets. Ben to work on definition of fixed assets. Ben motioned to accept accountant’s recommendation to reclassify items to fixed assets. Doug seconded. Passed. Important to look at the components of the treatment plant to identify things that need to be replaced for the 2019 Reserve Study. Discussion of bank accounts at WECU and Key bank. Ben motioned to open a credit card at WECU for Kevin Southworth with $2,000.00 limit. Doug seconded. Passed. Treasurer Report on CD Maturities. A CD matured at People’s Bank and it was moved to WECU for rate of 1.65%. In order to avoid going over the $250,000 federal insurance limit at WECU, Leslie asked that the board consider setting up accounts for CD’s and/or Reserves with another credit union. Puget Sound Cooperative Credit Union currently has the highest CD rates and also has docu-sign signature process. Doug reviewed the July and August Operations Reports. Clubhouse Fire Regulation Remediation: Necessary updates have been made at the clubhouse for the upcoming Fire Marshal’s inspection. Kevin to get bids for updating the doors and a permit for installing residential hood in order to bring occupancy to 99 people. Clubhouse Electrical System: No main breaker, so Kevin will consult with an electrician about how to proceed. Discussion of taking out a loan in order to update the clubhouse. Letter from Frankie Small requesting that the board send a letter to a member regarding the wood stacked up on his property. No action to be taken by board. On the same property, Kevin cannot access the water meter due to plants and other barriers, so he asks that the board address the issue with the owner. Letter from Mary Jane Van Hoesen: re Clubhouse tables and chairs. Addressed by Gayle Mitterer. Written Request from Gayle Mitterer to address the board re: Social Committee and clubhouse furniture. The leftover Ramp it Up Funds are going to be used toward the replacement of tables and chairs at the clubhouse, but she would like to coordinate with Kevin in order find something that works with the available storage. Doug motioned to form a Social Committee with Doug being the Social Committee chair. Sharleen seconded. Passed. Ben motioned that the Social Committee has a key to the clubhouse and that the key remains with one of the committee members. Jeff seconded. Passed. Water Disconnection and Lien Warning Notices. Water shutoffs are scheduled for Oct. 15, 2018. Doug motioned to approve water disconnections if the member has not paid or requested a payment plan by Oct. 14, 2018. Jeff seconded. Passed. Accounts 60022 & 60023-Payment Plan Request. Ben motioned to approve the payment plans pending member acceptance. Doug seconded. Passed. Tax Foreclosure Sale-Account 50026. Sale is scheduled for November 16. Leslie has asked LISE to consider whether this is a viable and salable lot and if it would be worthwhile to purchase the lot and preserve our lien on the lot. Ferry Reimbursement Request: No action to be taken by the board. New Format for Minute Taking. The formats presented were not suitable due to the need for internet access, so new, non-internet required formats will be sought and presented. Sharleen motioned for board meetings to be held on the third Sunday of each month at 9:30am. Doug seconded. Passed. Next board meeting is scheduled for October 21st at 9:30am. Adjournment: Ben motioned to adjourn at 12:46pm. Sharleen seconded. Passed. Call to Order: Dempsey called the meeting to order at 9:30 am at the Scenic Estates Clubhouse. Changes to the Agenda: Tim to update on recent development in lawsuit. We were notified by Jessica that on the last day to do so, the plaintiffs filed a Motion for Reconsideration by the three judge panel that ruled in the case and seeking review by the En Banc panel of the Ninth Circuit. In light of the new circumstances, the draft newsletter should be amended to report on the current developments in litigation. Slater moved to approve the June 10, 2018 Board of Directors meeting minutes. Smith seconded. Passed. Insertion of paragraph under Operations. In the Reserve Summary section, make reference to including the executive summary, but let members know the Study can be viewed in its entirety on LISECC website. Within the lawsuit update section, add a sentence at the end of the paragraph to update members on the developments in the lawsuit using Jessica’s language. Finalize and approve 2019 Draft budget for inclusion in the AGM Packet. Slater motioned to approve the 2019 Draft budget of $382,595 with dues of $725. Smith seconded. Passed. Review of 2018 Reserve Study. Possibly send membership pages 1-12 and include reference to the entire study being available on the website. Leslie will contact attorney to clarify what needs to be sent to membership. Review of AGM ballot items (BOD member voting, budget approval, vote on 2018 audit). Discussion of whether the board recommends an audit in 2019 for 2018 fiscal year. Roughly $10/per year/member for an audit every 2 years. Slater made a motion to recommend to the membership to have an audit in 2019 for 2018 fiscal year. Smith seconded. Passed. On ballot, add sentence under 2019 Budget and Dues that states: “does not include DWSRF loan fee, RTS or water usage fees”. Also, add “The estimated cost of an audit for 2018 fiscal year is $8,000”. Slater motioned to approve the Official Ballot for the 2018 AGM meeting. Smith seconded. Passed. Discussion of WECU savings account for annual audit expense funds. $8,000 was built into 2019 budget for audit. If membership votes against an audit, the money that was budgeted for the audit is placed into an audit expense fund to be used for the next member approved audit. Review and approval of new Policy Statement on annual budgeting for financial audit. Slater motioned to approve what will become Policy 21 entitled “Periodic Audits of LISECC Financial Records”. Smith seconded. Passed. Discussion of additional principal payment on DWSRF loan. It is proposed that we make a principal payment of $3,262.50 to the state to reconcile the difference between what we have invoiced to members and what the actual loan invoices have required for annual payments. Slater motioned to make a lump sum payment of $3,262.50 to the state for the DWSRF loan to be applied to principle. Smith seconded. Passed. Discussion of amendment to reserve components for 2019 reserve study cycle. Possibly have Wilson Engineering look at critical components and get their input/estimate on necessary repairs. Table conversation until full board is together. Treasurer: Financial reports unavailable due to illness, but will be presented next month. Reviewed Operations Report. Pump-back pump must be replaced for approximately $1,000. Monitoring Equipment from Mission Communications. During the Sanitary Survey we were told that we need to be able to monitor turbidity, even when no one is at the treatment plant. This system will electronically alert staff of any issues at the tanks or the treatment plant. Slater motions to transfer up to $7,000 from Reserves to pay for the purchase of 2 monitoring units, installation of equipment and 3 years of service with Kevin contacting second electrician to see if we can get installation fee reduced. Smith seconded. Passed. Informational kiosk sign has been ordered. Kiosk will be placed at the lake and will provide details about policies and important information to help protect the lake and reservoir from contamination. Draft Notice for owners in Sanitary Control Area. Owners need to be informed of sanitary control area and their responsibilities. Post statement along with copy of newsletter article about dogs on kiosk at the lake. Policy 12 states no dogs at marina or lake sites. Discussion of changing policy to state that no dogs are allowed at the lake or reservoir, but allow leashed dogs at the marina (but not clubhouse area). Smith to draft policy statement for next board meeting. Review of mower and sweeper proposal. Mower needs to be replaced and sweeper was budgeted to be replaced this year. Staff proposes combination of new mower with sweeper attachment since the purchase price is slightly less than replacing the two items separately. Slater motioned to authorize the transfer of funds from Reserves to purchase the John Deer X570 48” mower and Berco 48” Broom at an estimated cost of $9,500. Smith seconded. Passed. Discussion of replacement of Clubhouse tables and chairs. Board recommends that Social Committee supply proposal/estimate with cost of replacing/adding new chairs. Letter from Dar Stoffer about neglecting to mention John Graham’s role in recent 10 year Achievement Award for our water system. Leslie to draft response. Letters (2) from Marie Van den Driesen RE: Funds collected in memory of Tom and Late Fees. Leslie to compose email to Marie noting that the money collected for Ramp it Up was not a board action and it might be helpful to address her concerns with Neva. Jeff to email Marie about late fee concerns. Water Disconnection and Lien Notices: Slater motioned to post a water disconnection notice on account 30063 and if they haven’t brought their account current or requested an appeal, the water will be shut off on Friday, July 13, 2018. Smith seconded. Passed. Carol McKinney addressed the board to notify them that she and her neighbors will be creating a mailbox bank across the street from her house for 10-12 mailboxes. It has been approved by the post office and all members involved are in agreement. Carol also expressed concern about the property at the entrance to Scenic Estates and how to handle it. Members were encouraged to write a letter to Whatcom County addressing their concerns. Slater motions to appoint Leslie and Allison as the Election Committee with the authority to designate volunteers for the collection and tallying of ballots and other functions of the AGM. Smith seconded. Passed. Next Board of Directors meeting is Aug. 25 at 5 pm. Executive session to discuss employee vacation policy request. Slater motions to go into executive session for 10 minutes to discuss employee matter with possible action to be taken when session is over. Smith seconded. Passed. Meeting is called back to order at 11:55 am. Slater motions to pay out 3 weeks of Kevin’s accrued vacation time with next paycheck. Smith seconded. Passed. Don McCuiston resigned his board position. Move discussion of possible appointment to fill open BOD Position to beginning of meeting. Discussion of appointing Ben Twigg to vacant board position. Cash motioned to appoint Ben Twigg to open board position. Slater seconded. Passed. Slater motioned to approve May 20, 2018 Board of Directors meeting minutes. Smith seconded. Cash abstained. Passed. Reviewed Operations Report. Two failed customer meters were identified and repaired. Our percentage of loss has decreased from 35% to 12%. Discussion of dogs at the lake and Department of Health’s restrictions. Consider getting estimates for fence around the lake. It was noted that the AGM would be good time to talk to membership about not bringing dogs to the lake and instead, change the policies to allow leashed dogs at the marina. Also, LISECC has 2 lots at the entrance to Scenic Estates that could be presented to membership as a potential site for a dog park. Water Quality Report to be posted island-wide on NextDoor in order to reach the most members. Discussion of possible appointment to fill open BOD position - previously discussed. Sharleen Peitsch-Tyerman has submitted her name for consideration. Paul Dempsey would like to be put on the ballot. At AGM, there will be a call for members to put themselves forward on the ballot. Audit expense added for 2019 budget-Consider setting up Audit Expense Account so if an audit is not approved by the membership, the budgeted money is set aside for the next audit. It would be helpful to determine a set timeline for when audits are performed, i.e. every X number of years. Due to new state law, we cannot send out AGM materials more than 50 days prior to AGM, so final draft budget will be voted on at July 8 board meeting. Discussion of BOD recommendation re: 2018 Financial Audit - previously discussed. Discussion of late fee/finance charge changes. Smith’s proposed newsletter submission addresses this topic. Draft newsletter will be completed for approval by July 8 BOD meeting. Update sick leave policy for Personnel Policy Handbook. Discrepancy between law and policy statement. We are adhering to the law, but LISECC policy statement language needs to be amended. It would be helpful if the newsletter included a reminder about saving parking for those that need it and to remove boat trailers from the parking area prior to the AGM. Election committee should be established at July meeting or prior to start of AGM. Compile list of members who will be willing to help at AGM. Discussion of BOD response to member request to turn over accounts 20029, 60006, and 60007 to LISE. Reiterate to member that LISE is not in position to take back lots that we do not have the expectation to sell. Doing so would decrease the number of dues paying lots and that would have a financial impact on the membership. Water Disconnection and Lien Notices: board vote. Postponed until the next board meeting. Next BOD meeting is July 8, 2018 at 9:30. Slater motioned for the meeting to be held outside of regular schedule. Cash seconded. Passed. Ten minute Executive Session to discuss part-time employee benefits. Call to Order: Dempsey called meeting to order at 9:30 am at the Scenic Estates Clubhouse. Update about meeting with LISE legal counsel to be added under Administration Report. Slater motioned to approve minutes of April 15, 2018 Board of Directors Meeting. Smith seconded. Passed. Review of Draft Budget. If there are specific expenses we are anticipating in 2019, it needs to be provided in the draft budget for reserve specialist. Discussion of whether audit in 2019 is appropriate. Budgeted for in 2019, pending board recommendation and member approval. Employee expenses are lower for 2019 due to part-time bookkeeper with no benefits. Discussion of hiring part-time summer help to assist with some of the maintenance upkeep. Total expense projected budget for 2019 is $376,582 (about $8,500 less than 2018). Dues drafted to remain at $725 for 2019. Final DRAFT budget to be voted on by board at June Board of Directors meeting. Discussion of Newsletter to be included in AGM mailing. Newsletter should be a board publication, not individual opinions. Draft of newsletter content or list of what is to be included in newsletter to be prepared by June meeting for board review. Attorney informed board of change in law as of July 1, 2018 that AGM materials cannot be mailed out less than two weeks or more than 50 days prior to AGM. We are subject to legal requirements, even if they differ from LISE by-laws. By-laws must comply with the law and rather than membership ratification of by-laws to adhere to new law, may simply require notation in by-laws acknowledging change in law. Discussion of DWSRF loan amortization schedule. Member requested explanation of why we don’t lower DWSRF loan repayment each year as principle amount decreases. Review prior year DSWRF loan payments and possibly make additional payment from Operations account to reflect everything we have collected for DSWRF loan so far. Draft new policy to direct how loan should be collected and paid. Rice Insurance Annual Policy Renewal-$47,049.51 check to be mailed 5/21/18. In addition to the cost of insurance through Rice Insurance, we also have a policy through Liberty Mutual which cost $8,590.00. Update about meeting with LISE legal counsel. Slater and Dempsey had meeting with attorney about current water connections. Attorney suggested that we should have a recorded notice that details the current number of available connections and also notes that water connections are intended for permanent dwellings. Review of Financial Reports. We have collected 62% of invoiced dues for the year. Watershed Protection Plan & Dog Water Source Report. Per Watershed Control Program, domestic animals should not be allowed to roam anywhere in watershed protection area. Possibly add signs/rationale at lake to explain why animals are not allowed near the lake/reservoir. Staff to get estimate about how much it would cost to get informational kiosk at lake. Isaac to write article for newsletter. Compromise could be to change policy to allow leashed dogs at marina. Estimate for asphalt repair at Clubhouse-Smith motioned to approve asphalt repair based on estimate from Huizenga Enterprises, LLC not to exceed $7,500 from reserves. Slater seconded. Passed. Blythe Plumbing-Payment for Pressure Reducing Valve from Reserves-voted on last year to take money from reserves. Account 20029, 60006, 60007-Discussion of signing over lots to LISE. In order for the board to consider taking the properties, there needs to be reasonable expectation that LISE could sell the lots. Concerns from board members over whether the properties can be sold and any tax obligations on them. Member is encouraged to talk to adjacent property owners about selling the lots. Member asked board to consider what his financial obligation to LISE would be if he was able to sell the lots for less than what he owes the association. The board agreed to consider his request when a full board is available for discussion. Board Vote on Water Disconnections. Lien warning and water shut-off notices were sent on April 10, 2018. Letters included instructions on how to appeal the disconnection and how to establish a payment plan. Additional water shut-off notices were posted on the members’ doors on May 14, 2018. Slater motioned to shut-off water for Division 4 Lot 42 and Division 5 Lots 11 & 12. Smith seconded. Passed. Next Board of Directors Meeting is scheduled for June 10, 2018 at 9:30. Slater motions to hold June meeting outside of regular schedule. Smith seconded. Passed. Guest Forum: Sue Aspelund requested that remaining “Ramp It Up” funds be used to purchase disaster preparedness supplies such as cots, blankets and emergency food. It was emphasized that the money is “Ramp it Up” funds, therefore, it is not necessary to seek board approval for spending. Call to Order: Dempsey called meeting to order at 9:43 am at the Scenic Estates Clubhouse. Cash motioned to allow the disaster preparedness supplies to be stored in the maintenance shop. Smith seconded. Key for storage to remain with board members and staff. Passed. Discussion of updating current dog policies to be added under Communications/Planning report. Firewise letter from Frankie to be discussed as part of Operations report. Slater motioned to approve the March 18, 2018 Board of Directors minutes with the following amendment to the motion re: Wydra Letter of Temporary Water Connection. “…that we allow Scott Wydra to sign draft letter subject to his agreement to also sign the recordable Letter of Temporary Water Connection once it is finalized by LISE legal counsel. Cash seconded as amended. McCuiston and Dempsey abstained. Passed. Formation of committee to draft 2019 budget: Dempsey, Smith and Cash volunteered to serve on committee. Possibly have draft budget by May 2018 BOD meeting. The draft budget will be approved by the board to be put forward for ratification by the membership at the AGM. Consideration of Bylaw amendments for submission at AGM. Dempsey encouraged directors to think about any changes that should be put forward to membership. Review draft of 5.4.1.2 re: Water Service Connection Procedure. Edits: 1…one time extension, not to exceed one year. 2. All service connections are subject to provisions of Bylaw section 4.6. McCuiston made a motion to approve draft of 5.4.1.2 with amended language. Cash seconded. Passed. Slater would like meet with Dempsey and LISE counsel to draft a recordable letter about the current number of available water connections so future buyers are aware of the status. Discussion of WECU/Key Bank Employee Debit Cards: WECU does not allow for anyone that is not a signer on the account to be named on the card. Currently, Dempsey’s name is on the WECU debit card, but if anyone else uses the card, the fraud protection is void. As a short term option, keep debit account at Key Bank while other options are explored. Review of financial reports. Close to $438,000 in reserves at Key Bank and Peoples Bank. Shows strength and financial health of association. Discussion of letter to membership seeking input on late charges/fees for LISE. Finalized letter to be sent out to full membership with water invoices, if applicable, or on its own, if not. Letter should be put on LISE letterhead with signature block. Also, add reference to Policy 7 in third paragraph and deadline for submission for board position by June 10th. Cash motioned to approve letter as amended for mailing to membership. McCuiston seconded. Passed. Discussion of ways to edit invoices/statements to add explanation about total amount due. Reviewed Firewise letter acknowledging LISE for 15 years of continuous participation in the program. Received $500 grant which will be used to rent wood chipper for work party on May 5. Focus of the day will be on clearing marina area and educating members on how to firewise their own properties. Cash to let Frankie know that the installation of the docks takes precedence and that it may be a busy day at the marina due to fishing opener. Cash would like to explore possibility of cleaning up some of the trees around the cabana. Will bring ideas to next meeting. Discussion of consistency and posting on NextDoor. Possibly draft statement for board and staff to use as response. Discussion of amending our dog policies. Adding bags, signage and place to walk dogs on leash around perimeter of lake (not near playground or cabana area). Health department may place restrictions on dogs around the lake because it is registered as our secondary water source. McCuiston to bring ideas for signage and pricing to next board meeting. Letter from Frankie Small about Firewise: Discussed during Operations report. Review Consumer Confidence Report. Data is based on 9 year cycle. Quote for printing and mailing to entire membership less than $500. Must be mailed out by July 1, but should be added to website before then. Cash motioned to approve the printing of Drinking Water Quality Report, pending any changes, not to exceed $500.00. Smith seconded. Passed. Next Board of Directors Meeting is scheduled for May 20, 2018 at 9:30. Guest Forum: Scott Wydra and Katie Boyd came to discuss the status of their water connection/Letter of Approval for Temporary Water Connection. The board stated that the Letter of Temporary Approval for Water Connection is pending with Greg Thulin and he is putting it in a format that can be recorded with the county. Scott and Katie were given a DRAFT copy of the letter for their reference. Call to Order: Slater called the meeting to order at 10:10 am at the Scenic Estates Clubhouse. Cash motioned to approve Board of Directors Meeting Minutes from February 25, 2018. Smith Seconded. Passed. Bracket was welded to gangway and looking into welding the rail. Docks are scheduled to go in around May 1, depending on tides and weather. Beaver hasn’t shown any signs of new activity, but has not been trapped. Discussion of “Ramp It Up” funds: A little more than $3,000 available. Possibly replace tables and chairs for clubhouse. Slater motioned that if we don’t have a recordable Letter of Temporary Water Connection from our legal counsel for lot 40074 and 40075 in the next 10 days, that we allow Scott Wydra to sign draft letter subject to his agreement to also sign the recordable Letter of Temporary Water Connection once it is finalized by LISE legal counsel. Cash seconded. Passed. Account 50004 & 50005-Letter Requesting Late Fee Waiver. Allison to use draft letter about late fees and send to member. WECU- Scanner set up last week, but at this time, we only have one checking account and one savings account. Allison has notified WECU and is hoping to get it sorted out next week so that we can begin transition. Discuss Letter of Temporary Approval for Water Connection: No longer necessary as topic was covered in Guest Forum. Next Board of Directors Meeting is scheduled for April 15, 2018 at 9:30. Call to Order: Dempsey called the meeting to order at 9:30 at the Scenic Estates Clubhouse. Member communication from Account 10202 to be added. Smith motioned to approve Board of Directors Meeting minutes from January 21, 2018. Cash seconded. Slater abstained. Passed. Discussion of water connection requirements for undeveloped lots. In the course of granting water connection to undeveloped lot(s), it should be made clear that it is a conditional water connection granted under conditions of completing permanent structure. If the member fails to complete permanent structure, connection is void. Slater believes that until a permanent policy is in place, LISE should make an interim policy change, as of February 25, 2018, reflecting the aforementioned idea. Mark Sexton suggests writing a policy statement that lays out procedure for connection and disconnection, including requiring building permit for connection. Possibly, draft letter (approved by attorney) that needs to be signed by member, in addition to Letter of Water Availability, to clarify that a connection is temporary based on building completion. Letter could be sent to title companies to make new owners aware of policy, as well as an attrition statement that new owners would have to comply with policies, even if buying from someone who was out of compliance. Cash to draft letter for Scott Wydra to sign for interim water connection. Mark Sexton volunteered to help Administration committee draft policy statement. Discussion of forming an Ad Hoc committee to review and update LISECC Personnel Policy Manual as current manual is not tailored to LISECC. Cash has volunteered to be on the committee. Discussion of LISECC sick leave policy conforming to WA State regulations. Slater motioned to amend LISECC sick leave policy to conform to recent change in state sick leave law. Cash seconded. Passed. Discussion of change to Policy 7 section on late fees & interest charges on delinquent accounts. Smith has drafted a letter for members to let them know that these policies have been in place for some time and we must adhere to them. Discussion of making late charge flat fee each month or proportional to what is owed, rather three times a year as it is now. Smith suggested that board could request feedback from members about how to handle late fees. Slater suggested getting rid of interest and implementing staggered late fees. Important to keep the motivation to pay, but also make it reasonable for members. Kevin and Cash are working on Isaac’s employee evaluation. PogoZone has submitted their recommendation for surveillance cameras. Cash proposes we purchase Arlo Pro cameras. Phase 1-test phase at swim lake. Purchase cost of $620. Includes base station and 4 cameras which would be placed at the security gate (entrance and exit), cabana parking lot and reservoir, and reservoir tanks and vault. Cameras will meet Homeland Security requirement and WA state requirement. Kevin commented that we may have to provide electricity on far side of Tank 1. Phase 2-install cameras at Marina Clubhouse and Maintenance Shop for $700. Cameras are motion activated with alarm. For up to 16 cameras, the Business Basic plan is $130/yr for subscription. Cameras will only be used for monitoring LISE buildings and property, not for monitoring lake, beach or homes. Slater motioned to purchase ArloPro Security System not to exceed $1700 for all phases of security system and 2018 annual subscription fee. Smith seconded. Cash noted to make sure signs are posted about cameras. McCuiston abstained. Passed. Frankie Small - Thank you letter and reminder of May 5 Firewise work party. Account #40008 - Signed copy of agreement to split lot. Member has stated he will get agreement recorded with Whatcom County. Account #10206 - Letter requesting explanation for 2018 loan repayment amount. Calculated by total annual payment due divided by number of dues paying lots. We have never adjusted for each year due to fact that it is minimal amount. Dempsey will draft letter. Account #10229/30 - Note about forms of payment. Accepting payment on website would add cost to membership. Possibly suggest setting up bill pay through bank. McCuiston will draft response. Account #70026 – Letter about late fees. McCuiston to draft letter from Board. Account #30087-Letter about late fees. Allison to use draft letter about late fees and send to member. Account #10202-Letter about lien/late fees. Dempsey to draft response. Allison to send contact update form via email. WECU is setting things up on their end and once complete, we can connect scanner and begin transition from Key bank. Publishing of Governing Documents - Isaac presented draft of Governing Docs website page. Documents can now be linked by section on website. Can direct members to sections rather than going through entire PDF. Board approves of layout. Next Board of Directors meeting is scheduled for March 18 at 9:30. Guest Forum: Scott Wydra requested water connection on lot 40074. Member will complete and submit Whatcom County Water Availability Form with building permit. Slater (via phone conversation) recommends talking to Thulin and drafting an awareness letter that reiterates to members that new construction must be completed within two years. Isaac Colgan shared a letter acknowledging Kevin’s dedication and hard-work, despite difficult and challenging conditions. Smith motioned to approve Board of Directors Meeting minutes from December 17, 2017. Cash seconded. Passed. Account 20030-property sold at tax sale Nov 17, 2017. Discussion of whether we should take former owner to small claims court. Firewise workshop on Jan. 31 in Olympia. Frankie Small would like Isaac to attend with her as a LISE employee. Traditionally, Firewise is a volunteer effort, however, may be beneficial to community to have him attend as an employee. Cash motioned to have Isaac be paid up to a maximum of 8 hours to go to Firewise workshop plus mileage on January 31. If there is an entry fee, Colgan will be reimbursed. Smith seconded. This training may preclude other training in 2018. Passed. In 2017, made $45,000 transfer from Operations to Unallocated Reserves. Discussion of lower expenses in 2017 and higher income. Smith motioned that we split the net profit based on cash numbers and deposit into reserve account in an amount not to exceed $40,000. McCuiston seconded. Passed. Cash reviewed Operations report. Kevin reported he has ordered new beaver lure and it is on the way. Cable modem and router are set up at the maintenance shop and ready for camera. JD from PogoZone came out and gave quote for equipment installation at water plant. $1,500.00 quote includes connectivity at the cabana, tanks and plant and would give us ability to have the camera and sensor at the tanks that is required. Additional $9/mo to install managed router that would allow PogoZone to provide support, if necessary. Cash motioned to approve PogoZone to go forward with installation of equipment to meet the Homeland Security requirements, not to exceed $2,000 and the $9/mo fee for the commercial router. Smith seconded. We can limit how much internet people are using, if we are providing Wi-Fi at the lake. Passed. Account #20008 and 90044: Request to waive/refund Late Fees and Finance Charges. Smith to draft letters to members explaining how late fees are applied and that we will not be waiving charges. WECU bill pay is set up and check scanner has arrived. Will make transition from Key Bank to WECU by February BOD meeting. Kevin has a smart phone on the way to test. McCuiston would prefer to maintain landline for backup and/or emergencies. Once connectivity is set up at the offices, we will proceed with surveillance cameras. Firewise Work Party-May 5, 2018. Frankie Small has applied for $500 grant to have Firewise work party at the marina. Discussion of staff involvement in firewising on LISECC properties. Staff job description does not include “firewising”, however, staff is responsible for maintenance of LISECC properties. Publishing of governing documents will be addressed at February’s meeting. Updated governing docs distributed to board members. 15-30 minute Executive session to address employee issue. No action taken. Cash moved to approve the October 15, 2017 Board of Directors Meeting minutes. Smith seconded. Slater abstained. Passed. Cash moved to approve the November 19, 2017 Board of Directors Meeting minutes with the correction of specifying that when the beaver at the reservoir is caught, it will be relocated to Tim Slater’s off-island property. Slater seconded. Passed. Dempsey reported that all the new WECU accounts are opened with the signers Cash, Smith and Dempsey. An opening deposit of $10,000 was made to one account via transfer from Key Bank to WECU. On line bill pay is in process of being transferred from Key Bank to WECU. Discussion check scanning software options. With single feed CX30, possibly less likely to have errors and much more affordable. We do not process enough checks to justify price of multi-check scanner. Cash motioned to approve purchase of Digital Check CX30 inkjet for estimated price of $369 + tax and shipping. Smith seconded. Dempsey noted to include purchase of toner, cartridges, etc. in purchase. Passed. Dempsey stated that $45,000 needs to be transferred from Operations account into (newly opened) WECU Unallocated Reserves Savings Account. Cash motioned to approve transfer of $45,000 from Key Bank Operations Account to WECU Unallocated Reserve Account. Slater seconded. Passed. C. Water Readiness to Serve (RTS) Fee: All members with a water connection are charged an annual water hook-up, or RTS fee, based on the lowest tier of water usage (zero gallons per month). This RTS fee will cover the period of January 1 to December 31 of each year and will be billed on a prorated basis with each supplemental water usage invoice. This means that LISE will invoice for RTS even if there is no water usage during any particular period. D. Water Usage: Supplemental invoices reflecting water usage including the prorated RTS rate will be issued every 2 months and will be due and payable within 30 days following the date of invoice. Review Results of Policy statement audit by Colgan. Part 1-6 of Governing Documents are updated in Word and on the website. Part 7 needs to be transferred from PDF to Word document. Page 8: Readiness to Serve updated with language from 12/17/2017 BOD meeting. Add statement to end of Preamble: Any inconsistencies in wording or intent reflected in this policy and the underlying action approved by the Board on a particular subject or matter addressed herein, the Board’s actual action and intent as reflected in approved Board meeting minutes shall control. Cash motioned to approve changes based on the audit of Part 7 policy statements with Slater’s amended wording. Slater seconded. Passed. Three water shut-offs and 28 accounts sent to attorney for liens. Total collected from October letters and lien notices $44,671.97. Phone meeting with Julie Harkness Tuesday to clarify Oct and Nov month end closing and clean up any discrepancies. Julie would like to have laptop brought in, rather than remote access. Dempsey to update in January on conversation with Julie. AGM member approved BOD stipend to begin with January 2018 meeting attendance. $60.42 credited to one lot. Slater would like to decline credit. Review of November YTD Profit & Loss: Collected income very close to our budget. Expenses in most categories below what we have budgeted for. Discussion of transferring funds from reserves for Maintenance Building garage door replacement. Upon final invoice, move total amount from reserves as motion indicated in November 2017 BOD meeting. Review of 2018 member invoice formats (monthly & annual) and cover letter. By end of Feb., email newsletter explaining how we will use email addresses to communicate with members. Cash mentioned contact info sheet should be included with welcome letter to new members. Slater updated on discussion with attorney about whether LISE can condition future water service on a new owner (after tax or bank foreclosure) to pay off the balance owing to LISE at the time of the foreclosure. He was told that when property gets foreclosed upon, the lien is wiped out and therefore, the property is off limits from collection efforts including requiring the new owners to pay off the debt in order to obtain water service. LISECC can pursue the former owners that incurred the debt in small claims court. Cash reviewed the Operations Report, which included a DNR visit, installation of the new BBQ, and the status of the beaver trap. Members appreciate patching potholes and clearing/cleaning roads. Discussion of boat launch ramp and how to better support it. Southworth updated on broken pipe and pressure reducer control valve that needs to be replaced immediately. Will need to utilize outside company for parts and labor to fix leak. LICA has made printed copies of LICA Phone Directory Listing to be included in coupon book mailing. Mailing would be a benefit to LISE community, as it would give members the most complete LICA phone directory. Slater motioned to include LICA form in coupon book mailing. Cash seconded. Passed. Account #20008: Request to refund Late Fees and Finance Charges. Allison to email and let her know that the board has looked at her letter, but needs more time to consider her request and will respond in January. Account #60035 & 60036: Leslie to draft letter to member. Account #90044: Request to forgive Late Fees and Finance Charges. Allison to email and let him know that it the board has considered his letter, but we need more time and will respond in January. Account #40007: Provided Unsigned agreement for Account # 40008 split. Slater spoke to LISE attorney and his recommendation is that when it is divided equally, it makes sense to split dues accordingly. Billing should reflect ownership proportionately. Request that owner provides copy of signed document after recorded with the county. Smart phones for staff: Verizon quote would eliminate land line and add new lines for an additional $40/month. Slater motioned for Dempsey and Cash to work with staff to make most satisfactory decision regarding phones. Smith seconded. Passed. Internet is up and running at maintenance shop for surveillance camera. Slater motioned for Kevin to work with Cash and Don to implement most appropriate surveillance camera system. Cash seconded. Passed. The next board meeting is scheduled for January 21, 2018 at 9:30 am. Meeting adjourned at 12:15 pm. Slater motioned for 10-15 minute executive session to discuss personnel matters and additional attorney communication. Cash seconded. Passed. Meeting adjourned at 12:26 pm. Guest Forum: Ken Swanson read letter from Firewise Coordinator, Frankie Small, that Scenic Estates has qualified for Firewise Status, the fifteenth year of qualification. Call to Order: Dempsey called the meeting to order at 9:34 am at the Scenic Estates Clubhouse. Changes to the Agenda: Colgan asked to add “Bylaw audit update” as agenda item in New Business. Postponed review of previous board meeting minutes until next board meeting. Treasurer: Lien letters were mailed. Operations/Water: Regarding overhead door quote, there only one vendor in area “Overhead Door”, with an estimate of $4,265 for two doors with windows and installation. Vendor will need to make a site visit to confirm the estimate. Slater and Cash recommend Overhead Door from previous installations. D. Cash moved to transfer money from reserves to fund the garage door not to exceed $5,000. McCuiston seconded. Passed. D. Cash reviewed the Operations Report which included clearing brush from the reservoir, repair of a water leak, and truck maintenance. The State Department of Health has confirmed that LISE has addressed or provided a schedule for all issues identified in the 2017 Sanitary Survey report. Southworth reported that the Tulalip beaver relocation program does not come to Lummi Island, so he will be ordering a live trap for relocation. Slater volunteered to have the beaver relocated to his off-island property. McCuiston asked if trap could be loaned from another association. Consensus for LISE to purchase a trap. Doug Cash has been researching snow plow options. Existing LISE pickup is not large enough for plow attachment. McCuiston asked lifetime of truck. LISE Ford still has low miles. Slater mentioned liability issues if LISE has capability to plow. Doug Cash mentioned Rosewood Terrace is in poor condition by the swim lake. This is a Community Road, not a county road. Slater proposed a weight limit. Southworth explained the road is on dredged fill, the road needs rock base to be properly repaired. Temporary fix could be to fill depressions with asphalt. Communications/Planning: McCuiston asked if letter to Heather Newkirk was issued. Colgan confirmed that letter was emailed. McCuiston is working on a contact update list and proposed adding a secondary (non-member) authorized contact. Dempsey said that 2018 invoices will be mailed in December and this contact update list could be included in that mailing. Action item: McCuiston and Colgan to work on contact form for December mailing. Maintenance Shop overhead door replacement: was covered in Operations report. Research banking options: Dempsey reported WECU has a less expensive option than Key Bank, will do balance analysis to confirm that there may be no bank fees. McCuiston asked if check scanning hardware included. Dempsey said WECU offered lease or purchase of scanner, or LISE could purchase our own scanner. Slater said staff time savings worth change, and asked if interest rates will be changed? CDs collecting interest can be located at other institution, separate consideration from checking accounts. WECU will accept board minute resolution to change signers when board members change. Dempsey proposes to open new checking accounts and transition to new bank in the course of the 2017. McCuiston moved to enable to Dempsey to transition checking bank accounts from Key Bank to WECU not to exceed $250,000, and authorizing signers Doug Cash, Leslie Dempsey, and Jeff Smith. Smith seconded. Passed. Member delinquent status: Allison Cash reported that about 75% of members have paid to current. $20,574.43 collected on these accounts which includes some dues to end of 2017. Dempsey explained that some previous liens on properties had expired and required new liens. 33 lien warning and water shut off notices were certified mailed. McCuiston asked if LISE has current addresses for these accounts. Dempsey explained it is member responsibility to maintain current address on file. Discussion about the ability to collect past dues after a county tax lien foreclosure. Action item: Slater to inquire with attorney: if LISE’s lien is wiped out by a senior lien holder via their foreclosure process (for example: the County on a tax lien foreclosure, or a bank foreclosing on a mortgage, or non-judicial deed of trust foreclosure) can LISE condition future water service on the new owner (that is, whomever ends up with the property after the tax or bank foreclosure) to pay off the balance owning to LISE at the time of the foreclosure? Surveillance camera proposal: McCuiston focused on internet connection at all sites including Maintenance Shop before determining cameras. Pogozone can add Maintenance Shop connection for additional service at $30 per month plus installation. McCuiston is researching a mesh network for treatment plan, cabana, and water tanks. McCuiston moved to approve at Shop up to $100 installation fee and internet service up to $30 per month. Cash seconded. Approved. – McCuiston moved to install internet connection at storage tanks primarily to facilitate system alerts as required by sanitary survey and to include cabana and water treatment plant coverage, with dollar amount to be approved by Leslie Dempsey as Board President. Cash seconded. Approved. Smart phones for staff: McCuiston purchased three iPhone SE phones through Total Wireless at $129 each, $423 total. No airtime purchased at this time, committed to this provider for one year. $80 service for all three phones. LISE not contractually obligated to Verizon, but still owe balance on Southworth’s existing phone. Marina barbecue damage: Southworth reported that all debris has been removed, and he has ordered a metal park BBQ. Action item: Southworth will contact the owner to reimburse for metal BBQ. Policy Statements update: Colgan reported this project to update personnel titles is on hold while Bylaw files are being audited. Bylaw/Governing Documents audit update: Colgan reported that most of the Governing Documents master Word files have been audited and compared to what is posted on the LISE website as PDF files. The correct version of the Governing Documents has been identified. The files had an older revision date in the file name. Colgan asked the board if the most current revision date be placed on the first page of each Part to quickly identify the most current edition Governing Documents. Discussion about the existing notation of revisions dates in the Governing Documents. The board agreed to add a ‘last revised date’ to the footer of the first page of each Governing Document Part. Dempsey asked if older versions of bylaws need to be preserved. Slater’s understanding was when a section of the bylaws is proposed to be amended and is presented to the membership for a vote (and preserved in the AGM materials) the proposed amendment reflects the wording before and after the proposed change. Water disconnection notices: 30-day water shutoff deadline will happen before next board meeting. Dempsey proposed to vote on water shutoffs at this board meeting. Discussion of water shutoff policy. Slater moved to authorize staff to post Water Disconnection Notices on the delinquent account properties. Doug Cash seconded. Passed. – Action item: staff will post notices on Monday, November 20, 2017. USDA Rural Development Water & Waste Disposal Loan & Grant Program: Dempsey explained this program is a loan that is available if needed. A loan would require a vote of the membership. 2018 payment coupon order: Colgan reported that, based on an order date of December 1, LISE would receive coupon books in time for a December 15 mailing. Coupon vendor Bank-A-Count quoted $583.02 for 401 books at $1.33 per book plus tax and shipping. Doug Cash moved to make coupon book order with addition 20 blank coupon books and logo with $35, subject to replacing the wording on late fees with the statement “Does not include water fees.” McCuiston seconded. Passed. Slater moved appoint Allison Cash as Corporate Secretary. McCuiston seconded. Approved. Doug Cash abstained. McCuiston concerned about collection of vehicles and material at Island Drive and Baker. Doug Cash explained that this is a county issue for enforcement. Slater recommended that multiple resident reports to the County will have more effect. Slater reported that after LISE filed an objection to Ortego’s bankruptcy plan, the bankruptcy trustee sought and was granted an order directing Ortego to produce his financial and trust records, and that prior to doing so Ortego voluntarily dismissed the bankruptcy. The next board meeting is scheduled for December 17, 2017 at 9:30 am. Cash moved to approve the Annual Meeting August 26, 2017 DRAFT minutes for membership approval at 2018 AGM, with correction of the spelling of “McCuiston” on page 2. Smith seconded. Passed. Cash moved to approve the Board of Directors Meeting of September 17, 2017, with correction of the date “September 20” regarding date of the Disaster Prep meeting in the guest forum. Smith second. Passed. President: Dempsey reported that the DWRSF loan payment was made in September. We have a suggestion to change the Bookkeeper process with the DWSRF loan. Now the bookkeeper separates dues, water “Ready to Serve” fee, and DWSRF loan received. The exact amount of DWSRF loan amount received in that deposit is then transferred to the Loan Savings account. Consultant Dave Olson advised a transferring 1/12th of payment amount on a monthly basis which fully meets requirements of State of Washington to have a separate account for a DWSRF loan payment. Discussion of how this process works, with agreement to follow consultant’s recommendation. Treasurer: Dempsey reviewed August and September reports. Currently at 81% of dues collections in September of the 2017 year per cash basis, so ahead of schedule. Operations/Water: Cash reports that training of new bookkeeper is going well. Cash asked, were stolen garage tools replaced? Southworth said that circular saw and cordless drill have been purchase. Cash noted that overhead garage doors are old and rotten, and should be replaced. Action item: Southworth to get a couple quotes to replace overhead shop doors with and without windows. Docks removed, did not use the carts. Southworth reported gangway ready to install, will need arc welder, boom truck, and to modify the existing wooden railings. Small dock replacement in consideration. Dempsey asked about the increase is unaccounted for water (14%). Southworth answered that the increase may be from new minor leaks. Sanitary survey report requires remote monitoring system at the water treatment plant and water tank vault. Discussion about why alarms are needed. There is a beaver at the reservoir that must be removed per the Department of Health. Communications/Planning:McCuiston will report updates in old and new business agenda. Personnel Committee: Action item: change email name for business@lisecc.com to “Allison Cash”. Account #60046: owner request to credit finance charges. Dempsey stated we must be consistent with all members. Cash discussed consistency problems with member claims that “they didn’t get the bill.” McCuiston concerned that if invoices are emailed, there must also be a paper mailing. Cash moved to not waive account 60046 finance charges of $3.01 and McCuiston will draft a letter to the member for the board to review. McCuiston seconded. Passed. Key Bank authorized signer updates: Dempsey asked to include this item in new business item about deposit check scanning. 1194 Beach Avenue, request to join LISECC. Slater recommends in a letter that LISE not add new lots to the membership and water service. Response letter was drafted by Dempsey. Cash moved to send the letter to the non-member. Smith seconded. Passed. Water billing software and customer billing issues: Dempsey explained that Colgan discovered several small delinquencies in the aging report as there was no process to send delinquent statements. Years ago the accountant set up QuickBooks with AR accounts for each year, which complicated the past due statements. Policy states members must be current to have the ability to make monthly payments. Sent statements for 134 accounts so that accounts could be up to date by the time we order 2018 coupons. 32 owners have been in contact. 17 accounts have paid to current, and almost $4000 received. Report on Dave Olson consultation by Colgan: six recommendations: 1) use Quickbooks for all billing instead of a combination of American Business Software and/or Quickbooks; 2) convert member fee invoices based on how members pay, from an initial annual invoice to a semi-annual or monthly invoices with adjusted due dates; 3) include statements with invoices; 4) move water “Ready to Serve” (base rate for water service) to water usage invoices and divide this annual rate by the number of water usage invoices sent in a year; 5) increase frequency of water billing from quarterly to every two months; 6) create water tiers as an item quantity in QuickBooks to make billing more efficient. Smith asked that a letter be sent to all to members explaining the new billing system. Dempsey stated we need to look of any bylaws are affected by these billing changes. Update on Accountant: Colgan reported that the file transfer of the QuickBooks file was successful with CPA, instead of physically transporting laptop to Bellingham as was done in the past. Discussion continued about Allison’s work hours and open office hours. Surveillance camera proposal: McCuiston presented surveillance proposal. Maintenance shop may be connected to internet via PogoZone. Installation about $75, but may not be charged for additional account. Purchase from Costco would allow return on equipment if not satisfied. McCuiston moved to contact Pogozone about internet communication at Maintenance Shop with installation less than $100. Cash second. Passed. Marina barbecue damage: Southworth reported that homeowner agreed to repair barbecue, but proposed not to rebuild the chimney, and would instead place a park metal barbecue near it. Deposit scanning and online deposit. Dempsey explained that staff and board members are currently delivering checks to mainland branches. Discussion of check scanners and related fees to KeyBank. Chase bank may have offer to provide scanner for free. Could be an opportunity to reset signers. KeyBank required all current/new signers to be present at once. Action item: Dempsey will research banking options. Policy Statements to update policies to show correct job positions. Cash moved for Dempsey to change job titles in policies to current job positions. McCuiston seconded. Passed. McCuiston proposed sending a contact update form with our next major mailing. Contact form will include authorized contact besides the member/owner. Discussion about procedure to allow authorized contact that is not an owner. McCuiston is researching smart phones for staff. Discussion about phone types and use of office line as a mobile phone. The next board meeting is scheduled for November 19, 2017 at 9:30 am. Meeting adjourned at 11:48 am. Guest Forum: Sue Aspelund announced a Disaster Prep meeting on Wednesday, September 20 at 7:00 am at the Clubhouse. Scenic Estates faces special challenges, including possibly being cut off from first responders in a disaster and wildfire on the mountain. Duncan (Fire Chief), Wayne Chaudiere, and Brenda Howell will be present to discuss County preparations, Firewise, MYN, and potential resources within Scenic Estates. Call to Order: Dempsey called the meeting to order at 9:30 am. at the Scenic Estates Clubhouse. Colgan said that as McCuiston is not present, McCuiston would like to postpone discussion of surveillance camera proposal until next board meeting. Cash moved to approve the Board of Directors Meeting minutes of July 16, 2017 with spelling corrections. Slater seconded. Passed. Cash moved to approve the Board of Directors Meeting minutes of August 19, 2017, 9:00 am with spelling corrections. Slater seconded. Passed. Slater moved to approve the Board of Directors Meeting minutes of August 26, 2017, 9:00 am. Cash seconded. Passed. Board will review the draft 2017 AGM minutes at the October 2017 BOD meeting for membership approval at the 2018 AGM. Cash moved to approve the Board of Directors Meeting minutes of August 26, 2017, 4:00 am with spelling corrections. Smith seconded. Passed. President: Dempsey reported an update to the lawsuit, that the plaintiffs were granted another postponement. October 4 is the new date for the plaintiffs to file an opening brief. Treasurer: Dempsey explained that, because limitations during dry dock, the CPA was unable to review financial information on the office laptop. The financial report for August will be made at the October BOD meeting. Operations/Water: Cash reviewed the August 2017 Operations Report. The shop was broken into between August 26 and 27 and some tools were stolen. Docks are coming out next weekend. Cash asked staff to research purchase of life rings for the Marina dock and the Swim Lake. Southworth asked for board input on a plan to repair or remove the Marina BBQ. Cash directed Southworth to estimate repairs. Dempsey would like the BBQ issue resolved by the October BOD meeting as the member who caused the damage has been responsive. Personnel Committee: Dempsey stated that the committee has made a plan to post a staff position vacated by Glenda Peterson and the board will meet in Executive Session to discuss. Joel B. Allison letter August 18, 2017: This letter was sent to LISECC members and forwarded to the board by a member. No response needed as this was not directly addressed to the board. Louise Weber emails August 2 & 3, 2017: Weber’s concerns about credit memos will be reviewed next week. Slater moved to remove all signers on LISECC Key Bank accounts with exception of Doug Cash, and add signers Leslie Dempsey and Jeff Smith. Cash seconded. Passed. Regarding the request of property owners of 1194 Beach Avenue to join LISECC: Slater expressed concerns about whether LISECC has the authority under its existing water rights from DOE and system approval from DOH to serve properties not currently within one of the LISECC platted divisions as well as not wanting to use one of LISECC’s currently approved connections to serve a non-member property when we recently spent thousands of dollars on engineering cost and many hours of staff and board time to increase the number of DOH approved connections we are approved to serve and that our first priority should be to our existing members with vacant lots give that their dues were used in part to cover the cost of increasing the number of approved connections. Slater was also concerned about the amount of staff and board time that would be involved in reviewing and investigating all the issues that would need to be resolved before we would be able to serve a non-member property as well as engineering and potentially attorney time and related cost and not wanting our existing members to be paying for those cost. Assuming all the foregoing hurdles could be overcome, we would have to agree on an appropriate connection charge that could likely be substantial. Finally, Slater noted that under our bylaws any extension of water service to property not currently part of LISECC would need to be approved by the general membership. Dempsey met with the former president Mark Sexton, who explained that previously, new members would be asked to pay a capital infusion that would total LISECC historical member fees. Southworth said that a State Dept. of Health engineer explained that adding a customer outside of the water system would require engineering approval. Action item: Slater is going to draft a preliminary response for consideration at the October Board meeting. The board reviewed the documents Continuance of Trustee’s Sale for account #10205, and Whatcom County Foreclosure of Liens for accounts #100002 and #20030. Colgan reported the LISECC currently pays for water billing software but does not use those statement features in the billing process, and he asked for the board’s review and participation in any possible improvements to the billing process. Cash said to report developments to himself and Dempsey before the next BOD meeting. Slater moved to go into Executive Session for personnel matters from 10:45 to 11:15 am. Cash seconded. Passed. The meeting went into Regular Session at 11:12. Slater explained that new book keeper position was considered at an hourly rate and number of hours that fits within the LISECC 2017 budget. Cash moved to approve posting the book keeper position as stated. Slater seconded. Passed. The next board meeting is scheduled for October 15, 2017 at 9:30 a.m.
Board Members present: Mark Sexton, Don McCuiston, Leslie Dempsey, and Tim Slater. Welcome and Introduction: Sexton explained status of LISECC, introduction of board members, and auditor Susie Thompson. Susie Thompson: Audit of statements Dec 2016. Small staff has oversight by board with external CPA. Because of the Reserve Study, members shouldn’t have surprise assessments due to budgeting realistically. Frankie Small Firewise Coordinator: Members requested to provide hours worked to continue qualification as Firewise Community. LISECC was the second Firewise Community in State of Washington. 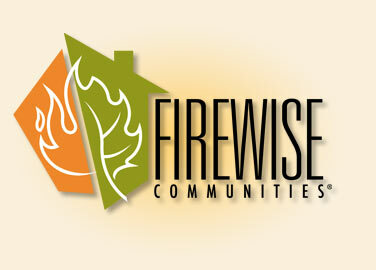 Firewise qualifications, and more information at www.lisecc.com/firewise. Sexton said that as former Office Manager moved out of state, that office hours are limited and to call the office number to schedule an appointment. Kjell Johnsen made a motion to approve the August 27, 2016 Annual General Meeting minutes. Marie van den Driesen seconded. The motion passed. Sexton announced that the Marina has a new aluminum ramp ready for installation. The ramp is wide enough for the Fire Department to take a gurney down to the dock. Slater explained the three bylaw amendment proposals: reducing the term length of directors from three to two years with the change applicable to the current terms of all existing directors and those elected in the future; changing wording from “paid” to “reimbursed” to more accurately describe the process for “reimbursing” a Board member that incurs an expense of behalf of LISECC; a director stipend in the form of a credit to their LISECC membership account equal to 1/12 of the dues on a single lot for each regular monthly board meeting a director physically attends, starting in January 2018. Reserve study shows we are planning appropriately. The status of the litigation is plaintiffs received another extension to file their appellate brief to September 11, 2017. Mr. Ortego filed for Chapter 13 bankruptcy. There was concern that in an earlier deposition he testified he was beneficiary of a trust worth millions, and then months later he was filing for bankruptcy. Mr. Ortego’s bankruptcy attorney has acknowledged that this is a revocable trust, he is the sole beneficiary, and that he can terminated it at any time prior to his death. We will have to see how this impacts the lawsuit. Member discussion about the stipend proposal followed. Dempsey reviewed the 2016 financial statement. The profit and loss, in the “Other Income” was an item for almost $69,000. Part of that was a special assessment of $100 for every lot regardless of whether bound or not. Under the Administration section of Expenses, we budgeted a little over $11,000 for insurance and actually paid $44,000 in insurance. The assessment funded that gap. To date our legal fees are $800,000 and is paid by the insurance company, but they cancelled our insurance. New insurance was at a significantly higher cost beginning May 2017, and that insurance was renewed with a minor change of cost through May 2018. The 2016 financial statement appeared to show we made a profit of about $46,000. As accrual basis, the “income” showed what was invoiced. If invoices are not paid that income is not actually received. Subtracting the uncollected dues of about $22,500 in 2016, and a transfer of about $45,000 to the reserve account, the actual cash net income is about $1000. The reserve study shows that $45,000 is the recommended annual deposit. If members vote in favor of the dues change, the annual dues will be reduced to $725 from $750. According to the July 2017 monthly statement, we received about $225,000, about 75% of our budgeted dues collection. Budget estimated by various income sources, including the 2017 adjustment of water usage tiers. The reserve study shows that $45,000 is the recommended about for annual deposit. Member discussion about the dues coupon book and insurance expense followed. Discussion about quarry: will it be open as a park soon? Dempsey explained that the Lummi Island Heritage Trust is in process of reclamation. Reservoir level is good, about the same level as last year. Water system leaks have been repaired. Kevin doing a great job as Operation Manager. Member discussion about sharing dock use with non-members and parking at the marina. McCuiston talked about switching to a prepay plan for staff mobile phones to reduce costs. CenturyLink is upgrading Lummi Island and our area will be the first in spring 2018. Member discussion about internet service at the swim lake. Looking adding security cameras for cabana and marina. Discussion about parking/abandoned cars and barking dogs on Scenic Avenue, and improving the visuals at Island Drive and Baker Avenue. Sexton expressed that “board-down” actions can create an adversarial situation, but if the membership together voices concern to the County, the County will take action.